Happy Mothers Day Weekend! We are now open Friday to Sunday 10am-6pm. 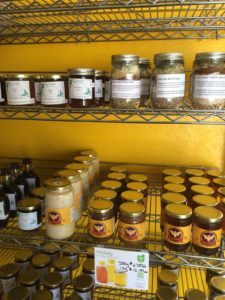 Come check out all the goodies in the ‘red room’ including honey, maple syrup, jams, jellies, brittle, fudge, beernuts and so much more!